Republic Day is one of the public holidays in Trinidad and Tobago. It is celebrated on September 24 to commemorate the day Trinidad and Tobago became a republic. 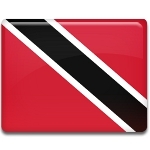 On August 1, 1962, Trinidad and Tobago achieved full independence from the United Kingdom as a Commonwealth realm. Queen Elizabeth II was the country's titular head of state. She was represented by Governor-General, but it was the country's Prime Minister who had the real power. In 1976, Trinidad and Tobago decided to abolish monarchy and become a republic within the Commonwealth. On August 1, 1976, the new constitution was promulgated, and the Republic of Trinidad and Tobago was born. However, Republic Day is celebrated on September 24 to commemorate the date when the country's Parliament had its first session. Such a date was chosen to avoid coincidence with Independence Day and give the citizens two public holidays instead of one holiday dedicated to two events. Republic Day was not celebrated from 1999 to 2001 to make room for Spiritual Baptist/Shouter Liberation Day. In 2002, the holiday was reinstated and has been observed every year ever since. Republic Day is typically celebrated with official speeches, parades, dances, and other festive events.